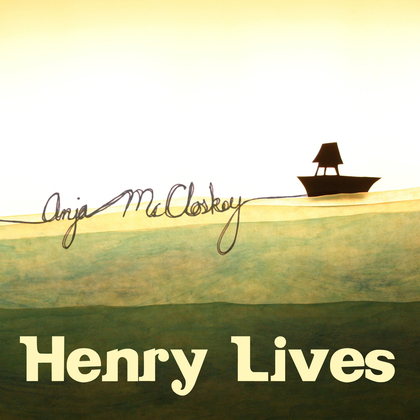 Recorded at CSC Studio Hamburg, Brighton and London..
Henry Lives is a single from Anja McCloskey’s album Quincy Who waits. Henry Lives is the only track on the album not to feature Anja’s trademark accordion but is no less richer for its absence. The opening wooden clacking percussion gives the track an a soft and comforting feel underpinned by a restful melody played out on acoustic guitars, double bass, violin and bass clarinet. Anja’s wistful vocals accentuate the dream-like feel of the track which is played out in Brook Morgan’s animation on an island jungle where the only company is that of the animal world.